It turns out that we’re not the only ones. 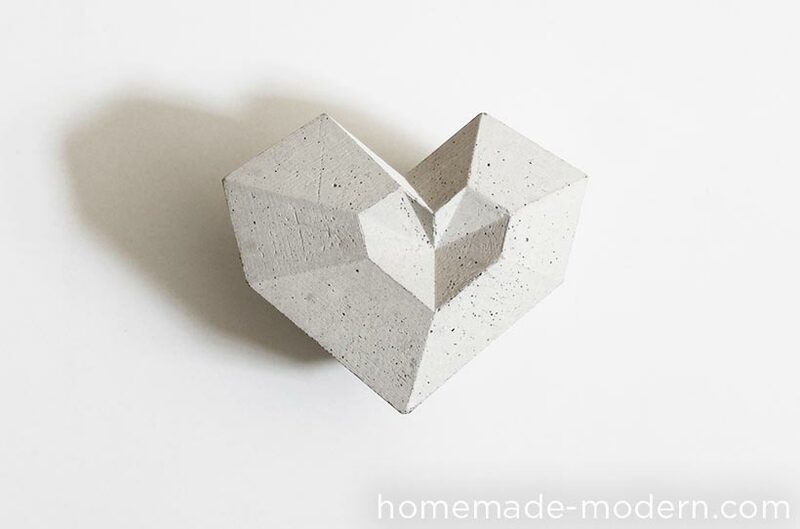 There’s an army of maker-designers out there, rendering the most amazing shapes in concrete - including hearts! 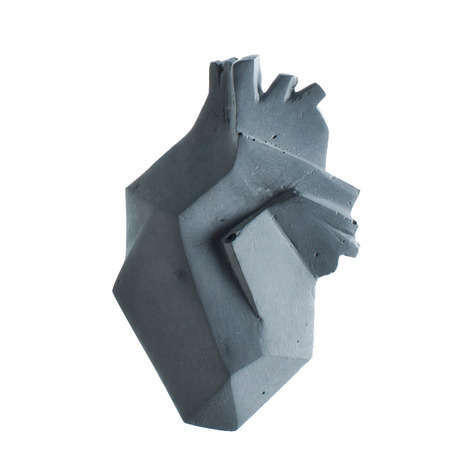 Have a happy Valentine’s Day from the Paul Rudolph Heritage Foundation and remember when its made of concrete, you’re less likely to wind up with a broken heart! Up, Up, and Away! It’s a bird, it's a plane - IT’S CONCRETE? There’s concrete that floats—“aerocrete”—and boats have been built of concrete. Now they’re seriously testing the material for the construction of submarines. But can it also be used for flying? I MEAN - REALLY - FLY? For a long time, the phase “like a concrete balloon” has been used to denote an extremely unworkable or unpopular idea. Yet the idea that concrete may have a place in the air has left traces through history. The Ilyushin II-2, the prolifically produced Soviet fighter aircraft of WWII, had many nicknames, and German pilots sometimes called it “Betonflugzeug” (concrete plane)—presumably for its toughness. But has concrete ever actually been used in aeronautics (other than its widespread use for runways)? It’s not for lack of trying. David Haberman and Tyler Pojanowski, a couple of clever students from the South Dakota School of Mines and Technology, built a remotely-controlled model aircraft which successfully flies and lands - and its 18 pounds include 40” wings, tail, and body - made of made of concrete! Beyond that, the pickings are slim—and we may have to look in other directions. And that brings us to a last category: buildings made for flight - that is to say, to serve the world of aviation. Buildings in this category would include hangars - a fascinating building type in its own right. Some of the most amazing were made to store and protect large dirigibles and airships - and the structures had to be correspondingly huge, with substantial clear spans. Rudolph, Saarinen, Johansen, Yamasaki (as in the air terminal noted above), Belluschi, Le Corbusier - in his later phases - and others brought an exciting bravado to the forms they produced. Even Wright’s Guggenheim Museum could be seen to be part of that set of boldly shaped buildings - and not only did it have a readily identifiable shape, it also had a sense of movement. Ditto for Paul Rudolph’s Temple Street Garage in Boston - an exceptionally fine part of his oeuvre - and one that celebrated automotive movement through the buildings dramatically sculpted curves. But of all the works designed during that period, Saarinen’s TWA must be placed at the top of the pantheon of buildings dedicated to the constituent spirits of aviation: swiftness, arising, loftiness, adventure, transcendence, and grace. While often likened to a giant concrete bird, Saarinen said it was not meant to look or symbolize an avian, but rather to convey the spirit of flight itself. If concrete could ever be said to take flight, it was here! Eero Saarinen received the commission from TWA in 1955, and the building had a long, fascinating development and seems to have been very successful—all of which is delightfully recorded in a monograph devoted to it. The great architectural photographer, Ezra Stoller, made the canonical photos of it, and they too were collected into a volume. It opened in 1962—the year after the architects sad, sudden, and early passing—buy in the wake of TWA’s financial troubles, operations at the terminal ended in late 2001. But that was not the end. Numerous proposals for the buildings use have been offered—like it becoming a conference center or museum—and the building was to be part of Jet Blue’s operations at Kennedy Airport. Yet the building has been largely empty for nearly 2 decades, and nothing ever seemed to fully develop to the point of construction. MCR Development is the 6th largest hotel owner-operator in the US. One project of theirs, of especially architectural interest, is in a mid-1800’s building: they’ve transformed a portion of the Union Theological Seminary, in Manhattan’s Chelsea neighborhood, into a stylish hotel. And MCR is now moving ahead with the transformation of the TWA terminal into a luxury hotel. Groundbreaking was in December, 2018, and some time in 2019 they expect that you can come to Saarinen’s masterpiece to stay the night, dine, wed, confer, swim—and enjoy this superb work of Modernism. 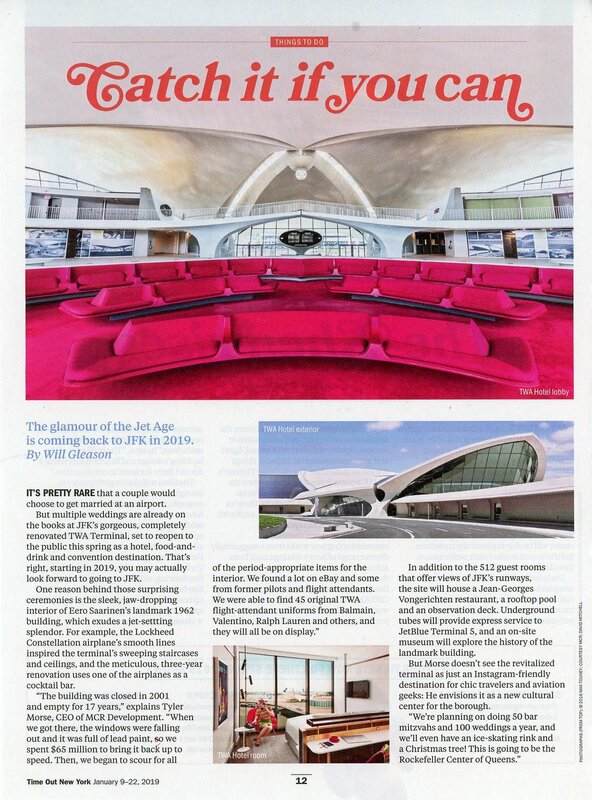 Yes, the way that Saarinen did it at Kennedy Airport—and TWA’s great building flies again! One has to admit that it must have been a challenge to translate some of these buildings into such sets: not all of these buildings’ geometries readily lend themselves to the modules of Lego’s system. Even so, we commend all attempts to encourage more audiences to appreciate architecture—and especially salute Lego’s efforts. But hey, Lego! - Why don’t you take on a building that would wonderfully translate into an impressive Lego structure: Paul Rudolph’s most famous design, the Yale Art & Architecture Building (now redidicated as Rudolph Hall). Now that would make an exceptional Lego set! Anybody want to start a petition? Meanwhile: What’s the table-top builder to do? For those of you who want to build at home - or rather, in your home, right on your kitchen table - there are sets of diminuitive construction materials that will allow you to get started. There are miniature concrete blocks, made of real concrete, and real miniature bricks—which can be laid with minute amounts of mortar. There are scale sets of miniature wood 2x4’s, 2x6’s, and plywood—all ready for your handy hands to assemble! Take a look at the full range of materials and accessories that Mini Materials offers. We’re sure you’ll be inspired to get building! There are no ribbed concrete blocks—like the kind that Rudolph created & used for many of his projects. Anybody want to start another petition?